The Seniors Center is committed to finding solutions for the future of Social Security. We believe that Social Security is a contract between generations and that Social Security funds should be segregated from the general US budget. The Seniors Center is a Washington, DC-based non-profit organization representing over 450,000 voters in 48 states and 412 congressional districts. Through our grassroots community outreach, petition drives, and legislative campaigns, we’ve reached tens of millions of concerned Americans across the country to spread the word about the threat to our retirement security. The Seniors Center has sent millions of signed petitions to individual Congressmen demanding protection for the retirement benefits we’ve worked a lifetime to earn — and demanding Congress finally put a stop to the careless “borrowing” and spending of greedy politicians that has put our Trust Fund and our secure retirement in jeopardy. The Seniors Center Channel is available on YouTube. The Seniors Center has a very active communities on Facebook and Twitter and a social media presence on Pinterest, Google Business, and Google Plus. In addition to its Social Security Policy pages, The Seniors Center publishes a blog to help Seniors avoid scams, frauds, and cons; the popular Ask Beth and Social Security 101 columns to answer question related to Social Security, and regular columns on Senior Lifestyle, Retirement Travel, and Seniors Health and Fitness. The Seniors Center is a program of Our Generation, a not for profit citizens organization recognized by the IRS under section 501(c)(4) on the Internal Revenue Code. 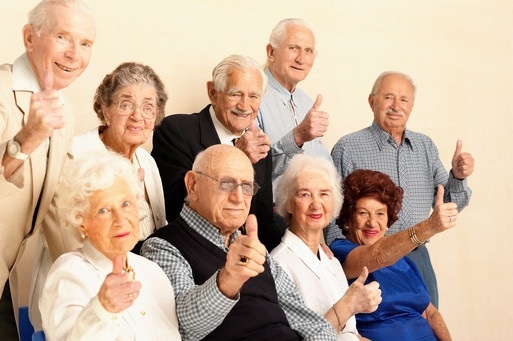 Our Generation also sponsors the Council for Retirement Security and #KeepOurTrust. The Seniors Center President Dan Perrin is a nationally known expert on Healthcare, Seniors Issues, and Government Debt. He answers questions from the public on Quora, where he has hundreds of thousands of readers.